Now, I’m not one to usually do binary options reviews on this website as it is not my particular are of expertise, but as someone who is knowledgeable in binary options, this is one program I know I had to discuss. There are too many programs such as this one floating around lately, giving people false hope on making thousands with binary options. So, what is the quick cash system and can it make you money online? Let’s jump into my honest Quick Cash system scam review to find out! Final Verdict: Not Recommended! Stay away! This is a program that is currently being promoted to people via email. The basic gist of this program is that you can use a free system to help you make money with binary options by having the program automatically trade for you or that you can use to trade manually. There is absolutely no training or tools offered with this program. You are not taught how to use the system or even how to trade binary options correctly. This is a program that is not meant for anybody. While it totes as being a program that can help you make money with binary options, in fact it will not help anybody to make money. If you are fairly new to trading, then I bet you have been looking for a system that can trade automatically for you so you don’t have to waste time having to learn how to do so manually. This is what the Quick Cash System “offers.” However, it is also a system that claims it can give trading signals to traders using a special algorithm. Yeah, see the program with this algorithm is that it is 99% wrong a majority of the time. Not only can it cause you to lose all of the trades that you put into the system, if you are trading manually it can cause you to drain your account in just one trading session. If you have been searching for honest reviews about this bot, I guarantee that you have come across many binary options blogs and websites that are promoting it. 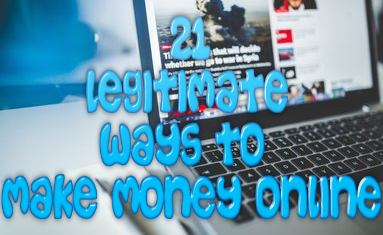 Some of these popular blogs include Binary Option Robot Info, Nancy Reviews and Trusted Binary Reviews. The problem with many of this popular blogs is that they have become a trusted source of binary options trading and have become the go-to source for legitimate broker reviews and binary options trading opportunities. The second problem to arise from this is that while the Quick Cash System itself may be in fact fake, these websites are making a ton of money just by promoting it to others, regardless if it is a scam or not. What many people are not aware of is that there are many affiliate networks that are currently promoting the quick cash system and that are offering a high payout for every person that deposits money into a specific broker. 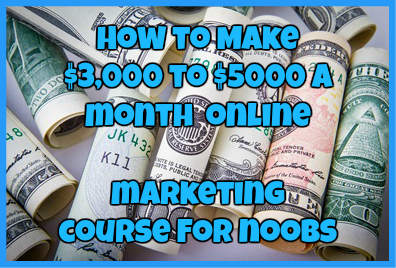 For example, if you were to deposit money into a broker associated with the quick cash system, the website owner who promoted the program in the first place would earn $250 right then and there. When you trade binary options, you will always want to go with a broker that is regulated by the CFTC, if you are located in the US and regulated by the FCA and FPC if you are located in the UK. The main problem with the binary options brokers that are recommended to you upon signing up with this program are not regulated by either which means they can do whatever they want with your money the money it is in their hands. What is also troubling is that most of these brokers have had a troubling history of holding funds deposited by members originally, not giving refunds when asked, or offering withdrawals on funds gained from successful trades. There are a ton of customer complaints out there regarding the Quick Cash system. Just take a look for yourself what some people are saying about this program below. Yes, Quick Cash System is definitely a scam. I opened an account with $5,500 and when I realized I wasn’t going to be offered any help I tried to close my account. However, these brokers took 30% from my account as they closed it, which violated its own Terms and Conditions. I wanted to try this system to see if it really was a scam, so I deposited $300 in an account. Sure enough, this system turned out to be a scam. The moment I gave my debit card number, I began getting bombarded with phone calls, asking me to deposit up to $4,700 which of course I did not do. On top of that I can’t even delete my debit card number off of the site. Looks like I’m going to have to cancel my card to be on the safe side. This system is a scam! These people asked me to deposit money into my account and the moment I did I began losing money. If you want to avoid losing money, then stay away from this system! After learning how to trade myself using PipsUniversity.com, I can tell you for a fact that this is one program I highly recommend that you stay away from. Not only will you not make money with it, but you will lose money in the process. The best way to trade binary options and to have an unlimited amount of money at your disposal, is to learn how to do so for yourself. There are plenty of places that you can learn to trade binary options or forex such as PipsUniverisity.com or Michaels Binary Options trading group that will allow you to save your money and educated yourself to trade instead of turning to a bot in order to do so. Have you tried the Quick Cash System? If so, what did you think of it? Let me know in the comments section below!